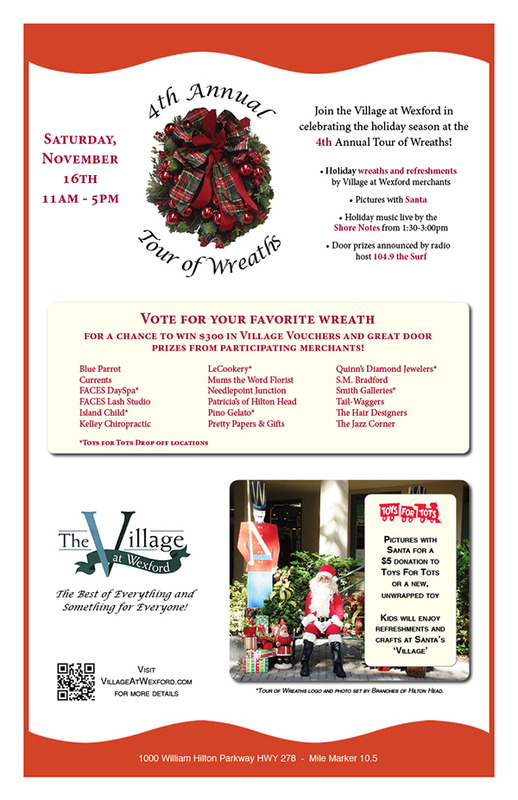 Visit with Santa and vote for your favorite holiday wreath at the 4th annual Tour of Wreaths at the Villlage at Wexford–this Saturday, November 16th, 11-5. Take an Art Class! — Pink Partini!